Alexis Esquivel graduated in 1991 from the School of Artistic Education at the “Enrique José Varona” Superior Pedagogic Institute in Havana. He is a member of the National Union of Cuban Writers and Artists (UNEAC), and has been a professor at the San Alejandro School of Fine Arts in Havana. Esquivel has been recipient of two fellowships from Tufts University in Medford, Massachusetts, in 2000 and 2001, respectively. 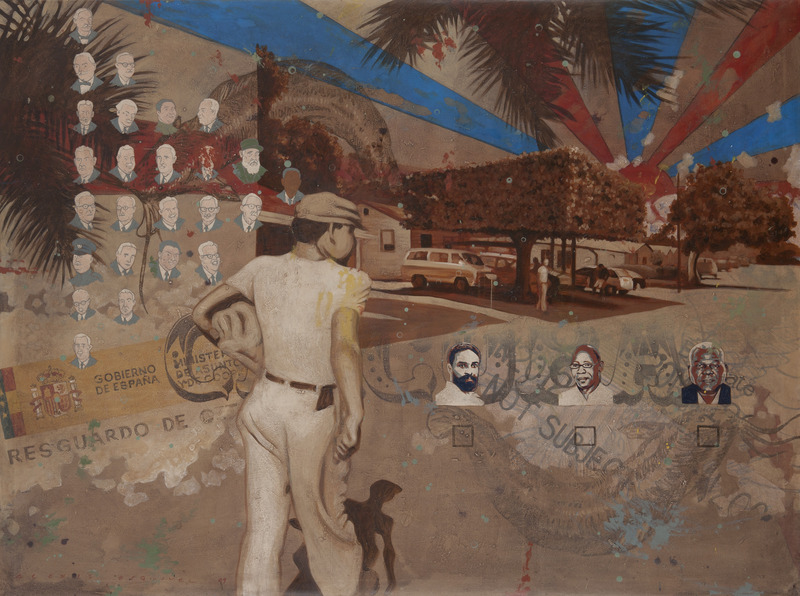 Some of his most notable solo exhibitions include La luna me está mirando (The Moon Is Looking at Me) at the Dudley House of Harvard University in Cambridge, Massachusetts, 2001; Pintura reciente (Recent Paintings) at the Provincial Center for Visual Arts and Design in Havana, 1998; Looking Forward Through the Past at M.A.R.S. Art Space in Phoenix, Arizona, 1998; Fragmentos del olvido (Fragments of Oblivion) at the 23 y 12 Art Center in Havana, 1997; Los prejuicios del entendimiento (The Prejudices of Understanding) at the René Portocarrero Serigraphy Workshop in Havana, 1996; Histeria Universal: Otra neurosis del ser (Universal Hysteria: Another Neurosis of Being) at Studio Space Gallery in Old Havana, 1995; and Retratos históricos (Historical Portraits) at the House of the Young Creators in Havana, 1994. 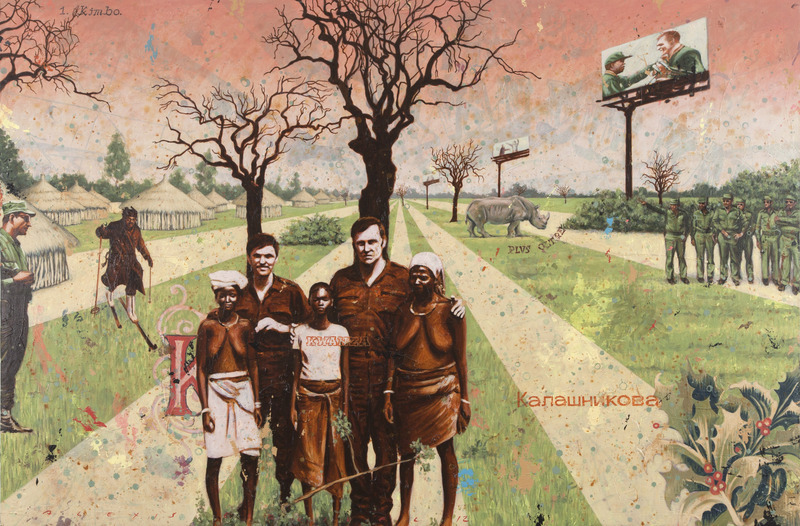 Héroe postcolonial (Postcolonial Hero), 2010. Acrylic on canvas, 77 x 57 1/2 in. Ciudadano del futuro (Citizen of the Future), 2010. Acrylic on canvas, 57 1/2 x 76 3/4 in. La muerte de Gulliver (Death of Gulliver), 2012. Acrylic on canvas, 29 x 36 in. Postales de la guerra (Postcards from the War), 2012. Acrylic on canvas, 51 x 76 1/2 in.